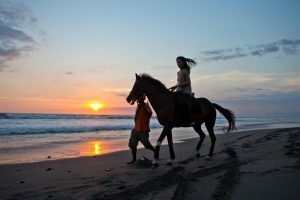 Bali Horse Riding Tour is a Bali Activities Tour Packages by offer horse back riding adventure in beautiful beach with amazing view and sound of the waves make the horse back riding more enjoyable. 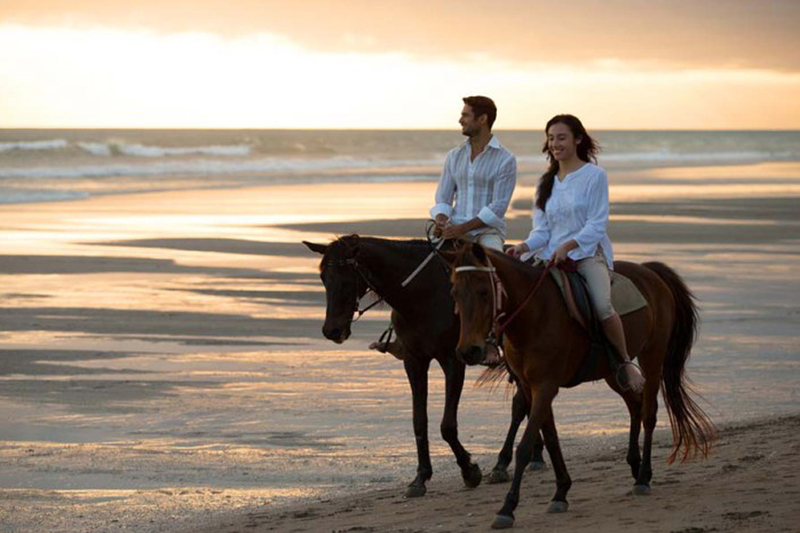 We have the expertise to bring you an exceptional equestrian adventure. 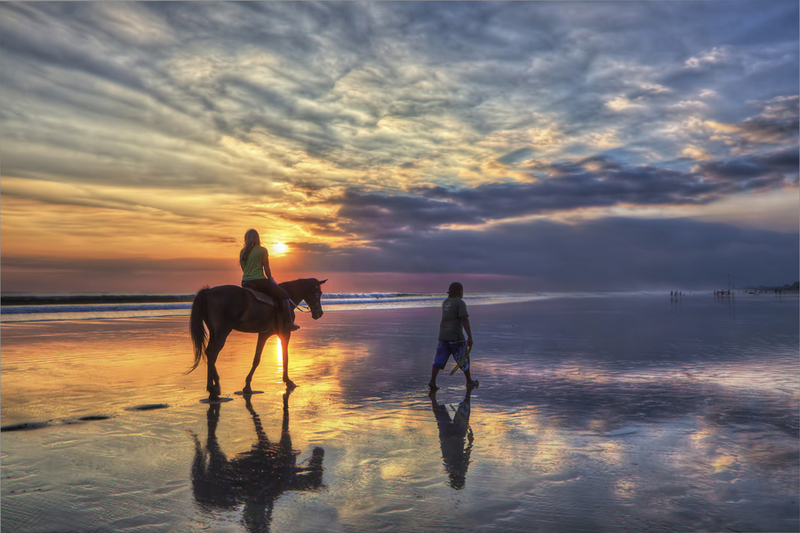 Horseback riding may not be the first thing that comes to mind when you think of Bali activities. Sure, there are the spectacular mountain views, balinese village, endless sparkling beach. So why not add horseback riding to the list? You and the kids will love it, walking or gently trotting with your horse, reins in hand.The experiences and scenery of this Bali Horse Riding Tour will not be easily forgotten. 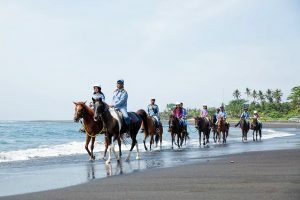 The sounds of horses hooves echoing through the crashing waves Saba Beach, take a unique look at Balinese life as you pass the local temples and onto the white sandy beach with Nusa Penida islands and the silhoutte of the great Gunung Agung volano in the distance. Is amazing experience you will remember for all your life. Bali Horse Riding Tour is a horseback riding company based in Saba beach, a black sandy beach stretch 3 km in east part of Denpasar Bali. 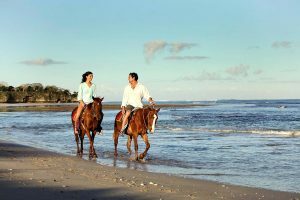 It provides the exciting horse riding adventures by the best selection of tame and healthy horses to explore the beautiful beach with sea breeze blowing and covers the coastal area. 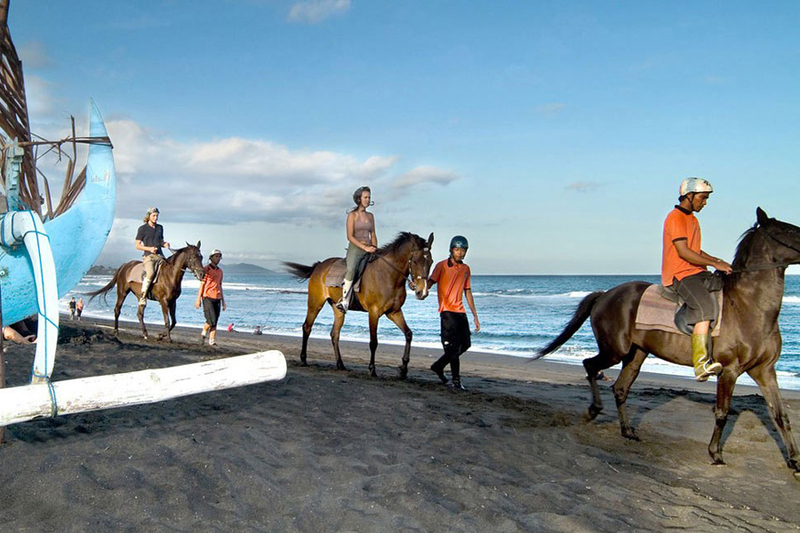 It stables are set in the coastal side with tropical plantation surround it and close to the Saba Beach. Your horse riding trail will reach 10 km at the beautiful black sandy beach apposite to the Indian Ocean and at the end of tour, you will enjoy the refreshment and use free facilities of villa like swimming pool. 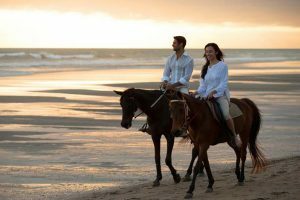 It is an ideal adventure that you must join and feel the warm atmosphere of tropical ambiance flows from the Indian Ocean and your adventure will be unforgettable one on your lovely vacation in the paradise island of Bali. 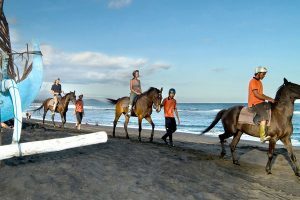 After being welcomed at our Saba Bay Stables, receive a full and comprehensive safety briefing from our professional guides before embarking on a memorable horse riding experience along the black volcanic sands and crashing waves of Saba Beach. Take a unique look at this seaside village as you pass the Pura Segara Wilis temple before heading out onto the wide sandy beach. In the distance is Nusa Penida Island and beyond on a clear day you will also see the silhouette of the great volcano Gunung Agung. 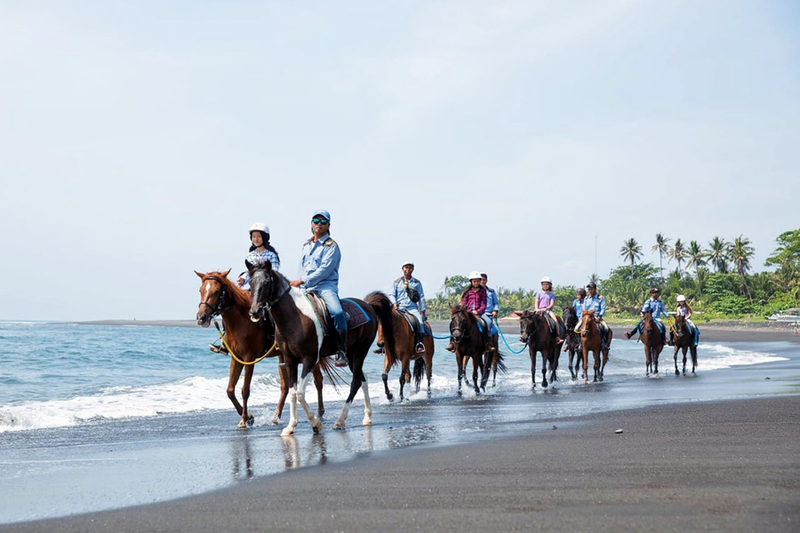 Enjoy a peaceful ride along the beach before passing through bamboo and alang-alang plantations where wild banana trees and pineapples thrive. Also are many species of birds and a special temple dedicated to the annual rice harvest.